Building a better business starts with the right knowledge. Issue 321 - What’s Your Next One Thing? Issue 320 - Procrastination… Is It Really That Bad? Issue 319 - How Impactful is Your Web Copy? Issue 295 - Is it time to take down your blog? Issue 294 - With Passion and Enthusiasm Please! Issue 293 - Whom Do You Admire? Issue 292 - How Do You Paint Success? Issue 290 - Whose support are you seeking? Issue 288 - What Are You Creating Next? Issue 278 - When is it OK Not to be Perfect? Issue 253 - Are You Strengthening Your Thought Leadership? Issue 251 - Are You Creating Something You Never Imagined Possible? Issue 244 - When Plan B is Not Good Enough! Issue 241 - Whose Business are You Reinventing? Issue 240 - Are you a better version of you? Issue 237 - Don’t Fall For It! Issue 233 - Write On! Issue 227 - Aren’t They Returning Your Calls? Issue 226 - What Are Your Rituals? Issue 224 - What’s Your Transformation? Issue 222 - Are You Creating Adventures in Your Life? Issue 220 - Are You the Best Version of Yourself? Issue 216 - How Provocative Are You? Issue 214 - Do You Offer a Concierge Service? Issue 213 - Have You Squeezed Them Lately? Issue 211 - What’s On My Mind? Issue 210 - What’s On Our Mind? Issue 202 - Who Are Your Top Customers? Issue 196 - What’s Your Next Challenge? Issue 194 - Do You Have “Me Too” Syndrome? Issue 188 - Where Do Ideas Come From? Issue 185 - Stop Copying Me! Issue 183 - What’s Your Legacy? Issue 180 - What Are You Remarkable At? Issue 179 - Is Your Content Categorized? Issue 177 - Are You Caught in the Web? Issue 170 - How Contextually Colorful Is Your Content? Issue 169 - Where Are You Going? Issue 168 - Do You Have a Glossy Brochure? Issue 166 - What’s Your Content Schedule? Issue 164 - Is Everthing OK With You? Issue 162 - What resonated with you most? Issue 159 - What would life be like if…? Issue 157 - What’s Your Next Masterpiece? Issue 150 - What’s Your Advice? Issue 145 - What Are Your Best Practices? Issue 125 - Where Is Your Energy Spent? Issue 120 - Solopreneur Or Teams? Issue 116 - Are You Self-Sabotaging Your Web Site? Issue 115 - Are You Surrounded By Genius? Issue 109 - Aggregating or Plagiarizing? Issue 107 - How Influential Are You? Issue 97 - What’s Your Mode Of Communication? Issue 93 - How Productive Are You? Issue 91 - What’s Next? Issue 86 - Are You Prepared For Success? Issue 83 - Where Is Your Business Coming From? Issue 79 - Free or Fee? Issue 75 - So What? 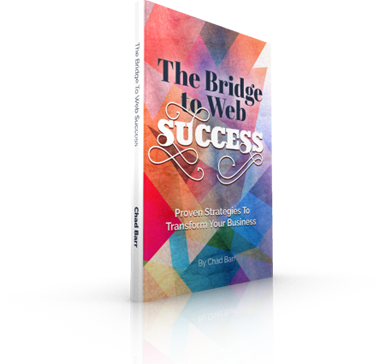 Issue 70 - What’s Your Web Wealth? Issue 63 - To Whom Are You Listening? Issue 62 - Who Is Quoting You? Issue 60 - How Prepared Are You? Issue 57 - How Effective Is Your Web Copy? Issue 55 - What’s Your Story? Issue 54 - What Do You Do? Issue 50 - The New Roads To You! Issue 48 - Say It Like It Is! Issue 42 - Are You Asking The Right Questions? Issue 40 - What Do You See? Issue 24 - Are You Walking Your Walk? Issue 22 - What’s Your Story? Issue 21 - Are You Ready For Your Close Up? Issue 16 - Lights, Camera, Action! Issue 12 - Enslaved to What? Issue 4 - Get Noticed! Issue 3 - Are You Content With Your Content?